BlackLight is the first commodity trading and risk system to be designed by traders for traders. BlackLight offers industry-leading trade capture, exposure management and decision support and has a modern, intuitive, and highly configurable layout. BlackLight is available as a simple, cost-effective subscription service. The system is hosted in the cloud and can be implemented in as little as one day. Contact us below to start a free 30 day trial or to arrange a demonstration with one of our team. BlackLight is a Bespoke Trader Tool for the Commodities Markets incorporating Real Time Risk Management, Live Mark to Market, Historical Forward Curves and a Live Global Suite of Refinery and Chem Outages. Built from the ground up using Microsoft .NET technologies and hosted in Azure; BlackLight is a modern scalable web based application built with the future in mind. Being developed for Azure, BlackLight benefits from the knowledge and expertise of Microsoft's security professionals. BlackLight is shielded from DDoS attacks by CloudFlare, has geo-redundant databases and is prepared for all potential threats. Living in Azure allows BlackLight to capitalise on highly resilient, geo-redundant servers to ensure high availability and failover. Being designed for Azure allows BlackLight to utilise Azure specific functionality, reducing costs for end users and increasing system wide performance. BlackLight will have you up and running with a 30 day free trial within hours. Simply register interest by giving us a call or contact us via the link below. During the trial we will provide support and training on the BlackLight system and provide full details of pricing and licensing. Our monthly pricing structure is simple, transparent and fair. We are confident that the trial will fully demonstrate the business case as BlackLight improves your exposure management and provides high quality trading decision support. Implementing the BlackLight system is very straightforward and can take as little as one day depending on data take-on and integration requirements. Where existing trade or market data needs to be migrated and where there is a required connection to a downstream system, this may take a few weeks. BlackLight is a highly intuitive system with a relatively straightforward user interface and therefore heavyweight training is not required. However, our team will provide introductory training as part of the free trial and again at the point of licensing of the system. There are also user help pages in the system that will address most training questions. Additional training can be provided on request at additional charge. We have a dedicated support team that are expert and responsive and a logging mechanism for support requests directly through the system. It is our goal to provide superior user support and exceptional service at all times. BlackLight is a system that has been designed and built from the ground up with the needs of traders and front office users in mind. All of the normal system annoyances and complaints of the trader have been considered and addressed. We run a strong user group that provides feedback and suggestions for improvements to the system and we have constant release of those improvements to the BlackLight user base whether live or in trial phase. We have designed and built a new generation trading system that will support the future business and technology requirements of traders, risk analysts and senior managers. We would be very pleased to have the opportunity to demonstrate the system to you. Commodities trader for 16 years, specialising in the oil and derivative sectors. A Mathematics graduate, Seb began trading in 2001 for Louis Dreyfus, moved to Sempra in 2008 to head up the London Light Ends team and went on to trade physical gasoline for Morgan Stanley. James has been delivering solutions into the financial technology sector in a career spanning twenty years. 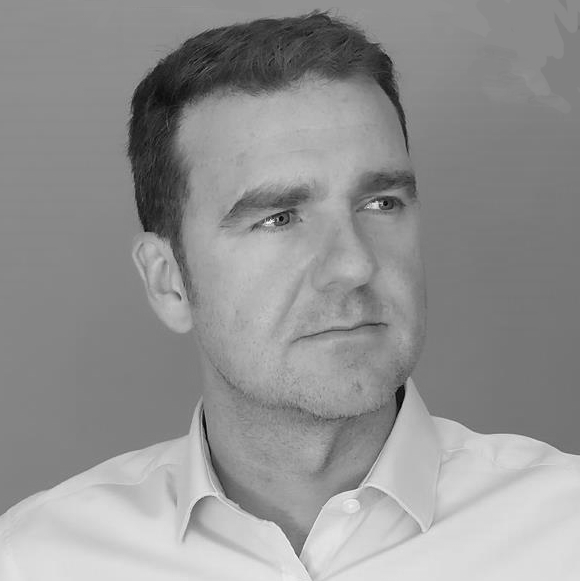 Specialising in Microsoft-based technologies, James has worked with Thomson Reuters, Tullett Prebon, Oil Brokerage, Fitch Ratings, and Interactive Data. Solution-oriented and hands-on technical utility player, centered in software design. Focused on creating collaborative efforts between support and development to implement product changes to benefit end users. Experienced in user behavior patterns.